Despite a first set bagel, the American found a way to get through Karolina Pliskova to book a spot in the Singapore final. 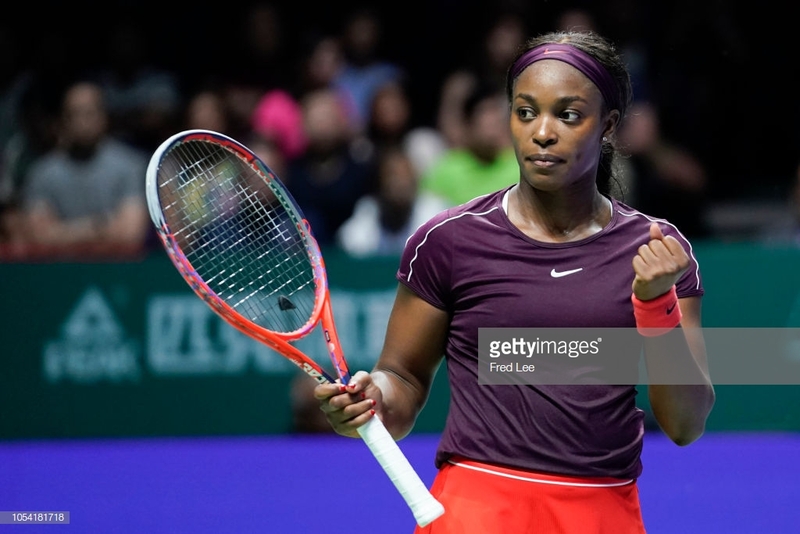 After a wild round-robin format which saw the bottom four seeds get through to the semifinals of the WTA Finals, Sloane Stephens and Karolina Pliskova battled it out to see who would face Elina Svitolina in the final. The American willed her way through after an error-filled opening set to win 0-6, 6-4, 6-1. The opening set of this match saw the seventh-seeded Czech establish her strong play near the net since the hiring of Rennae Stubbs as her coach. Stephens, who is usually quite consistent just could not get anything going after a forehand error wide put the Czech up 4-0. 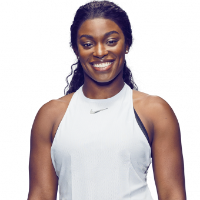 The American is so agile and moves so well and has the power off the ground to boot to matchup against Pliskova, but Stephens just could not get it going with the Czech hitting all her spots in what was pretty much a flawless first set on her part. 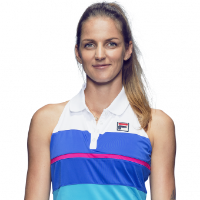 Even on the move, Pliskova was putting Stephens in trouble hitting a tremendous forehand winner to level the sixth game at 15-all. She capped off the set with an overhead winner. To start the second set, Stephens had some break points but could not get on the board. Down 0-2 in the second, an errant Pliskova forehand finally got the American on the board as she roared like if she had won the match. Things were going from bad to worse for Pliskova as a double-fault gave Stephens the break and her first lead in the match. After a flawless first set from the Czech, it slowly began to unravel as a backhand error gave Stephens the second set. After Stephens broke to start the final set, Pliskova immediately struck right back with a forehand winner on 0-40. The fifth seed would break later on for the lead, and Pliskova added to her woes with another double-fault to pad the Stephens lead. That break at 0-2 down really flipped the script in this match with Stephens gaining confidence from that point on. 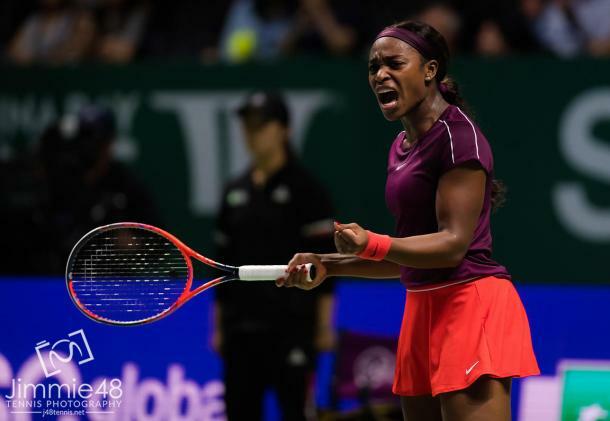 Another errant forehand off the Stephens return capped off the match as the two unbeaten women in Sviotlina and Stephens will face off for the title.